- Pre-Waxed. Made of 100% Nylon. - Strong, Non-Stretchy, Tangle and Fray Resistant. Can be knotted tightly and scurely. 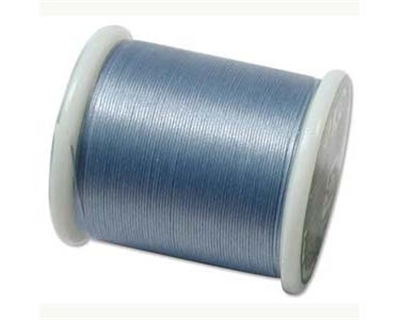 - Sold on 55-yard spools (50 Meters) in 18 Colorfast shades. - 330Dtex = Size "B"
- Works best with a Size #10 or #12 Beading Needle.